Thanks to Christian for the heads up via this tweet. 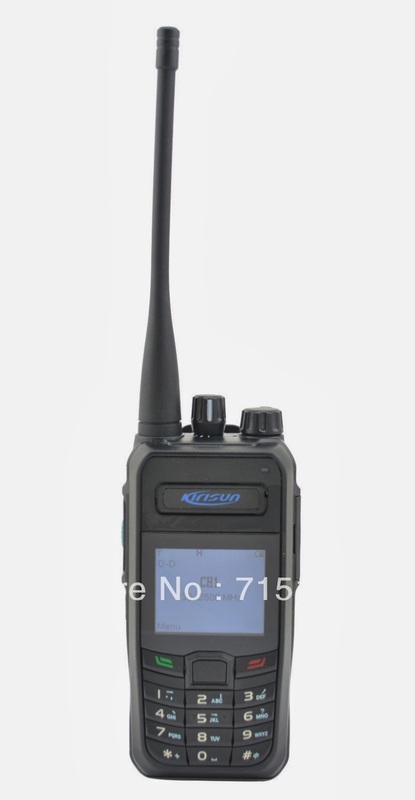 Just in time for Christmas (well, not if you actually want one), the Kirisun K700 Digital VHF HT for $135.00 (USD). 1 x VHF 136-174MHz Antenna. So, what are these compatible with besides themselves? ICOM is part of the DPMR association but I don't believe D-STAR is DPMR. DPMR is not D-STAR, nor DMR. Please, find here (http://www.radiopassioni.it/pdf/digitalvoicemodes.pdf) a table summarizing all digital standards currently out there, by KB1IPD. So, a DPMR radio can be heard only by another DPMR radio. That's the main principle, but exceptions have to be considered. Ambe+2 is, in fact, stated as the DPMR standard vocoder, but it seems that chinese manufacturers have used different codecs. As a result, not only this Kirisun unit won't be decoded by an ICOM DPMR unit, but this same Kirisun won't be decoded by a Zastone unit (to name another DPMR chinese manufacturer). So, if you want to test China DPMR HTs, be sure to buy two of the same model. As far as I can see now, it's the only way to avoid experiencing compatibility issues.